Bangalore Metro Rail Corporation is a rapid transit system implemented in the state capital of Karnataka. It is otherwise known to be Namma Metro, this rail system helps to city to reveal from the congested traffic. 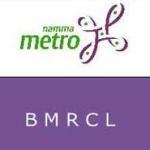 BMRCL came into existence in the year 2011, when it started its first service. As of now, BMRCL issued an advertisement in their official website which mentions the recruitment of Ex-Servicemen for the various vacant posts in different discipline. By clarifying the notification and below mentioned eligibility criteria, candidates who deserve eligibility may apply for this vacancy. The process of filling online application and other details regarding this recruitment are mentioned in this section. Interested aspirants may follow these instructions to apply online. The education qualification for each designation differs according to the role of the post. For the Engineering cadre post Diploma in Engineering and B.E/B.Tech in relevant course are necessary. Similarly, the Maintainers designation necessities ITI course in relevant trade completed from a recognised institution. For all other posts the Bachelors degree in concerned course is eligible. In this list of available vacancies, upper age limit for General Category applicant is 50 years. Age relaxation will be given as 3 years for OBC and 5 years for SC/ST category applicants from the maximum age limit. After shortlisting applications, candidates who are academically qualified will be invited for written exam by providing an admit card. On completing the written exam with good score, those candidates will be further invited for personal interview. Since this is a special recruitment drive for Ex-military personnel, so no examination fees are prescribed. BMRCL only accepts application by means of online registration, other mode of applications will not be entertained. Interested candidates may follow the instructions to fill the online application. Log on to the official website "www.bmrc.co.in". From there click the link "Careers" from the menu bar. On the careers page click the right link to register. A registration page opens in a new window. You need to fill all the mandatory fields in the form. After successfully entering all the details submit it. On submission the system generates a message "Saved". It also generates a completed application in a new page. Take a printout of this and note the application Number. The acknowledgement will also be send to your Email ID.